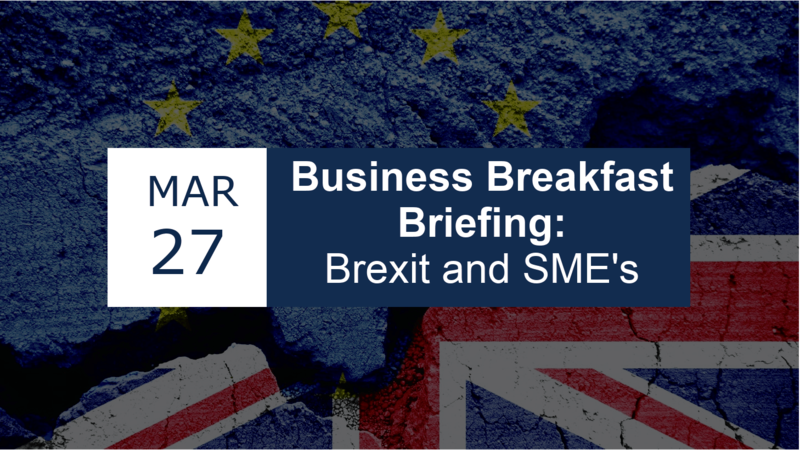 On March 27th, the DCU Brexit Institute together with the DCU Engagement Department hosted a breakfast briefing on Brexit targeted to SMEs. The Speaker, Professor Federico Fabbrini, Director of the DCU Brexit Institute, was introduced by Ellen Drumm, President, North Dublin Chamber of Commerce. The event was hosted in DCU Alpha between 7:30 – 9:30am.